A fun animal print outfit for any occasion. 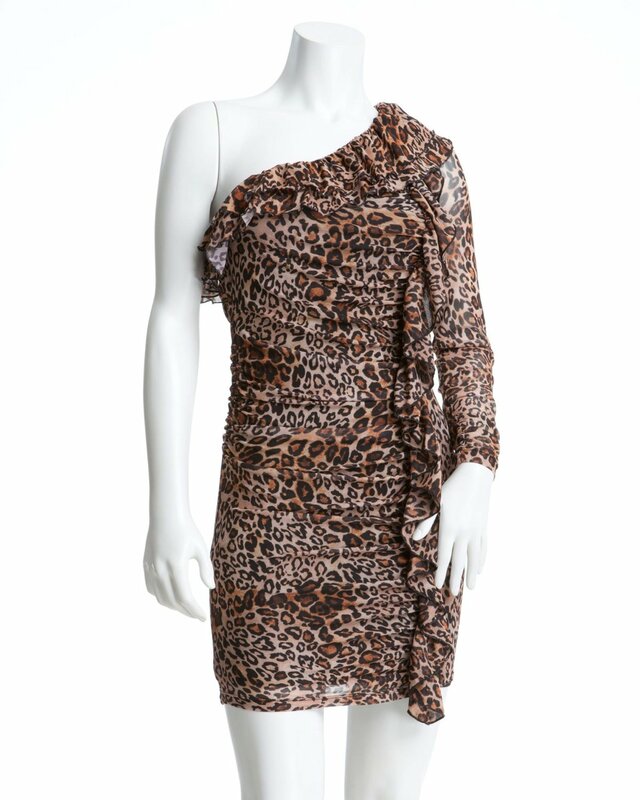 Ruffled neckline, sheer sleeve action, ruching at sides, and hot Leopard print make this 2b dress a retro-modern way to turn up the heat on your party collection. Offers full-interior lining. Elevate it with metallic accented heels for glam allure. Shoulder back to hem: 28″. Mannequin is wearing a US size S.